Lucozade Sport has unveiled a revolutionary approach to plastic-free packaging, with plans to trial fully edible sports drink and gel containers at running events this year. Beginning in September, a new ‘Ooho’ range will be rolled out at selected UK races, offering participants an isotonic product encased in an edible seaweed outer layer. 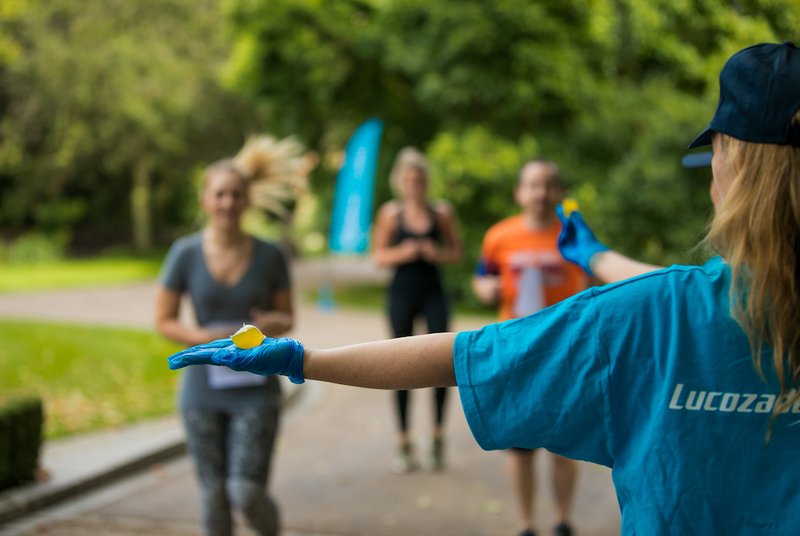 The initiative forms part of a collaboration between brand owner Lucozade Ribena Suntory and sustainable packaging start-up Skipping Rocks Lab, which aims to gauge the reaction of runners to plastic-free hydration. The group also plans to conduct wider research to better understand the long-term opportunity for plastic alternatives at mass-participation sporting events. Lucozade’s move follows a dramatic rise in awareness of the environmental impact of plastics, with athletes and sport properties at the forefront of efforts to reduce consumption. The brand says its Oohos are made entirely from seaweed extract and fully compostable as well as edible. They naturally biodegrade in four to six weeks – the same as a piece of fruit. Lucy Grogut, head of marketing Lucozade Sport at Lucozade Ribena Suntory, commented: “Lucozade Sport-filled Oohos are a completely new and exciting way to deliver the UK’s favourite sports drink to our consumers. “They offer us a hugely exciting opportunity to reduce plastic use in the long-term, especially at mass-participation sporting events. Pierre Paslier, co-founder, Skipping Rocks Lab, added: “As a sustainable packaging start-up, we are pioneering the use of natural seaweed extracts to create packaging with low environmental impact. The Ooho trial forms part of a wider programme aimed at transforming Lucozade Ribena Suntory’s relationship with single-use plastics. Most recently the firm became a founding signatory of the UK Plastics Pact. As a signatory, the company has agreed to eliminate "problematic or unnecessary" single-use plastic packaging and ensure 100% of its plastic packaging is reusable, recyclable or compostable by 2025. Lucozade Ribena Suntory is also rolling out a Global Innovation Challenge, calling on innovators and entrepreneurs around the world to find practical solutions to help the company move beyond plastic.